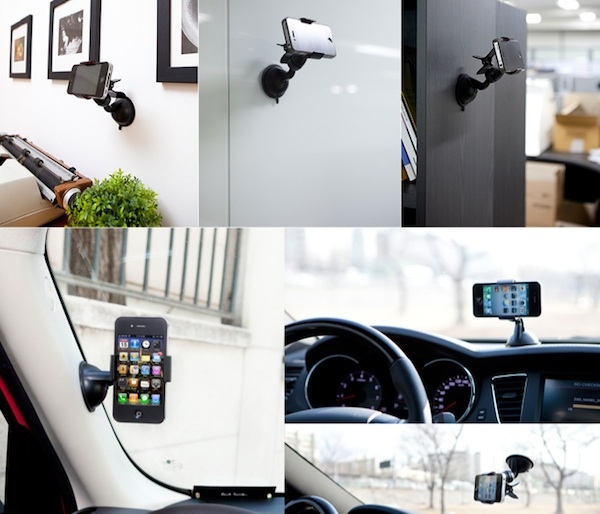 "A simple car mount that won't fall mid-drive is all anyone really needs. Still, there's something to be said for one that can stick firmly to almost any surface." ExoGear sells the mount for $29.95 USD, and it is pretty versatile as you can see from the photo above. Granted, all the photos show an iPhone 4 but if you visit their site you will see that it will work with any device up to a 5-inch screen (thinking tablet here). They even have it adapted to use as an iPad holder or stand by flipping the suction cup around. A one size fits all mount if you will and the price certainly is affordable.